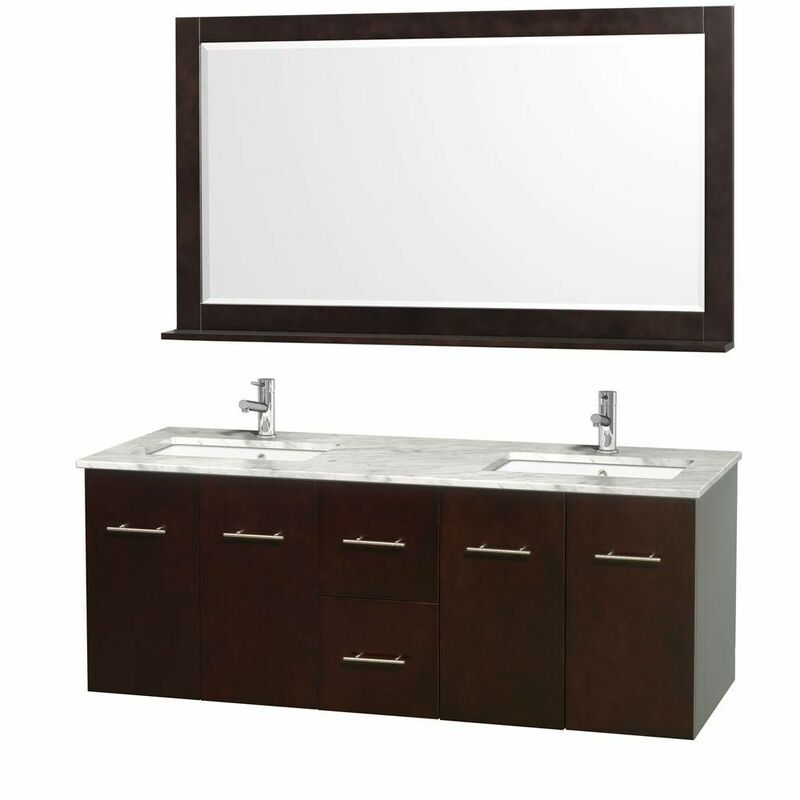 Centra 60-inch W 2-Drawer 4-Door Wall Mounted Vanity in Brown With Marble Top in White, 2 Basins Enjoy the popular modern look in your bathroom with this beautiful vanity. Its white marble counter and brown solid wood base are very easy on the eyes. Put a nice touch on your bathroom's look with this vanity set from Wyndham Collection. Centra 60-inch W 2-Drawer 4-Door Wall Mounted Vanity in Brown With Marble Top in White, 2 Basins is rated 4.7 out of 5 by 3. Rated 5 out of 5 by Jojo from Centra Bathroom Vanity The vanity is attractive--pleased with the way it looks. I really like the size of the sink. The vanity is walled mounted which makes installation difficult---need two persons. The price is expensive. A plus is the mirror which comes with it. There was no matching 4" backsplash piece included. This would have made it an excellent value. A plus is the size of the sinks.